Play as Luke Skywalker in the battle of Yavin. 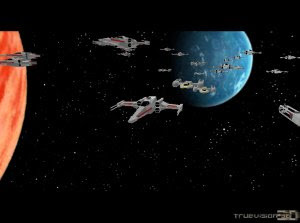 Assault and destroy the empire's Death Star. Fight in space, on the Death Star's surface, make the trench run, and try not to get blasted by Darth Vader's ship. Six stages of intense action.